Due to buyer demand in recent years creating interest in some commercial properties could be achieved by some straight forward sales particulars. However in some cases a more comprehensive document is required to help market the property. This is sometimes because of its complexity or to appeal to a certain market. 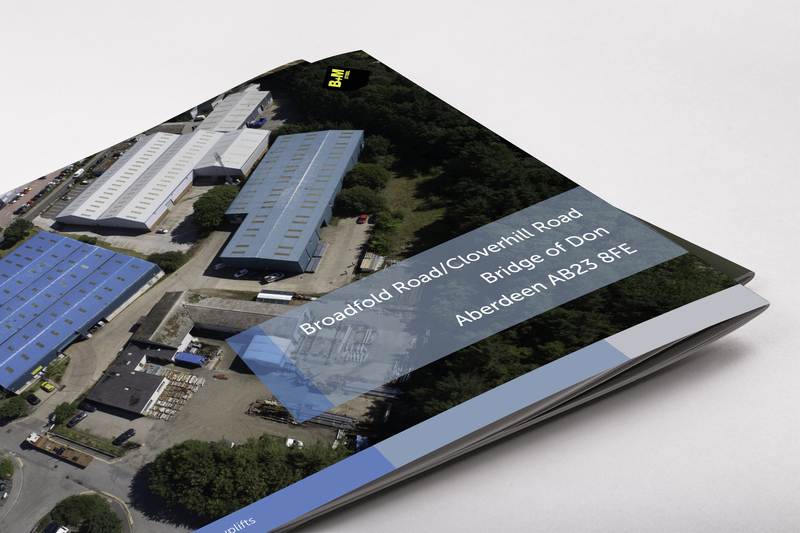 A case in point was a property located in the Bridge of Don area of Aberdeen. The scheme consisted of three separate buildings of different sizes and constructed at different times arranged on a single site. This needed to be explained in context of the site itself and the surrounding area. A key part of this was the photography. It was agreed that some aerial shots were required so we commissioned a specialist drone photographer to take images of the site and the surrounding area as well as images at ground level. 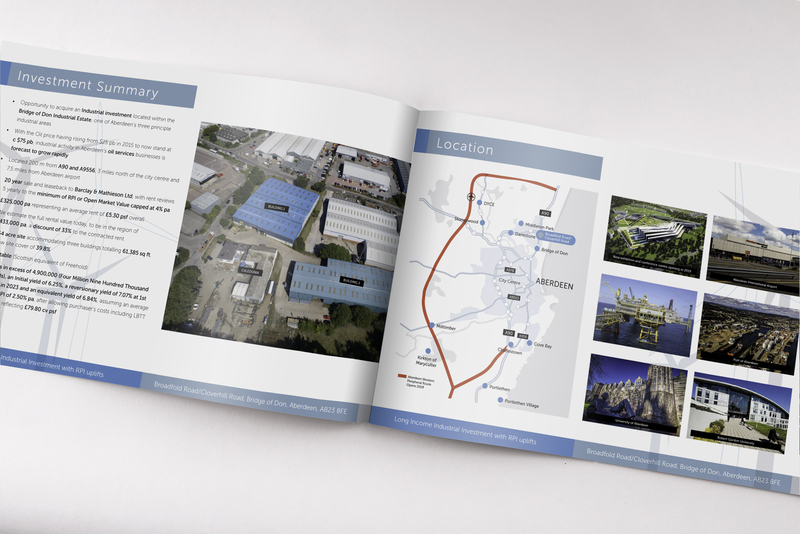 The brochure we created was in a A4 landscape format to help display the key information such as the maps and schedules. 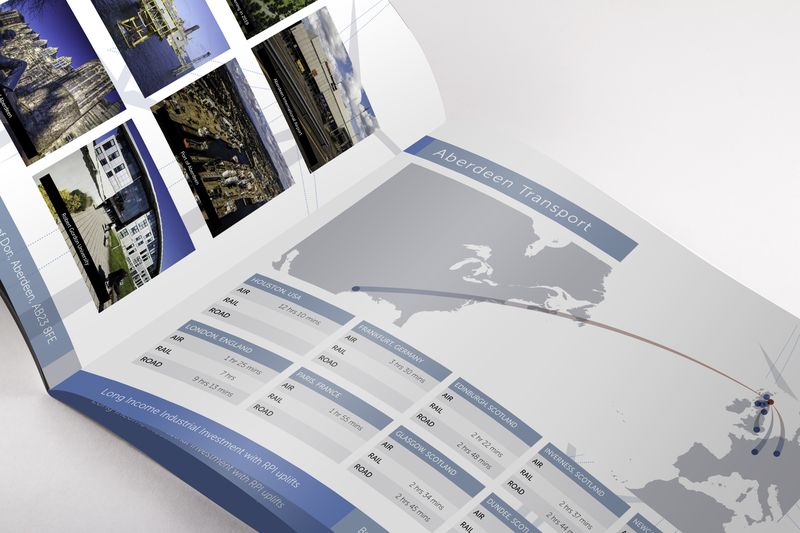 Generation of maps was important as well to show the sites position and access to Aberdeen and the key road network. This information would be of particular interest to overseas buyers as this was one of the key target markets for the property. 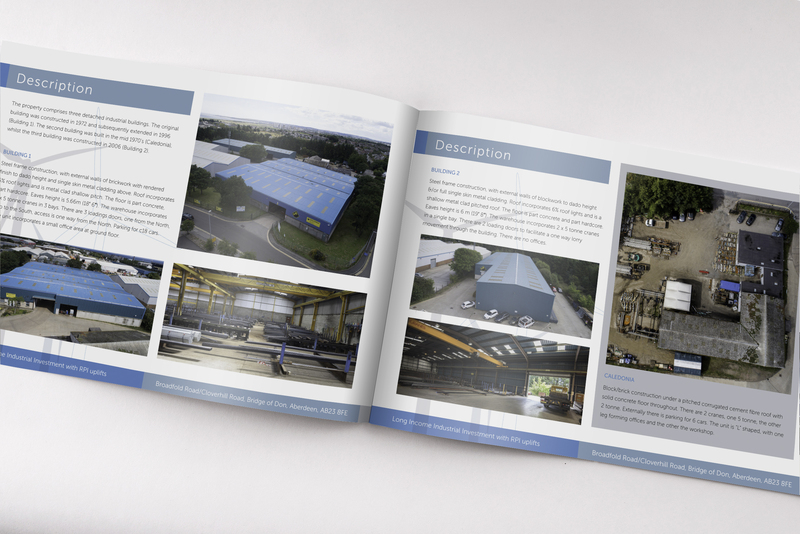 The balance of the information was designed in a clear concise way and resulted in a comprehensive document for the property.